NEW: Scientific Programme is now available! 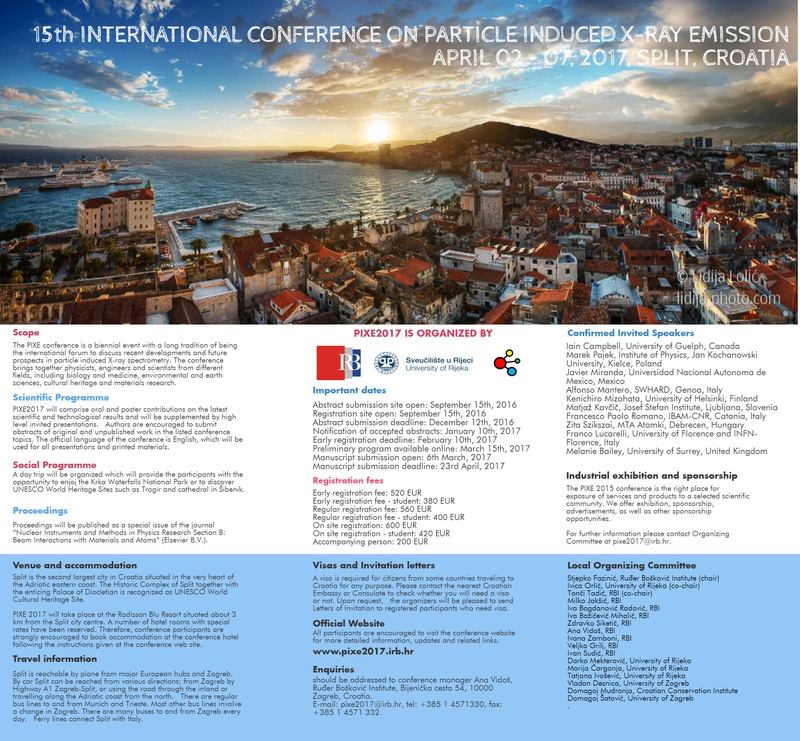 We are pleased to announce that the 15th International Conference on Particle Induced X-ray Emission (PIXE 2017) will take place in Split, Croatia between 2nd and 7th April 2017. The conference is organized by the Laboratory for Ion Beam Interactions, Division of Experimental Physics, RuđerBošković Institute, Zagreb, in cooperation with the Department of Physics, University of Rijeka. 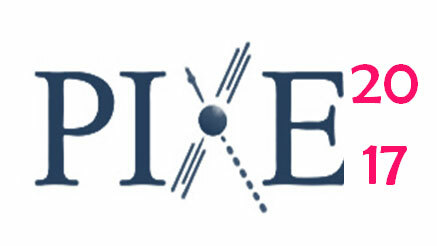 The PIXE conference is a biennial event with a long tradition of being the international forum to discuss recent developments and future prospects in particle induced X-ray spectrometry. The conference brings together physicists, engineers and scientists from different fields, including biology and medicine, environmental and earth sciences, cultural heritage and materials research. Important information about visa requirements.